The increase in business PC sales have not been enough to offset the large falloff of consumer PC sales in the region. 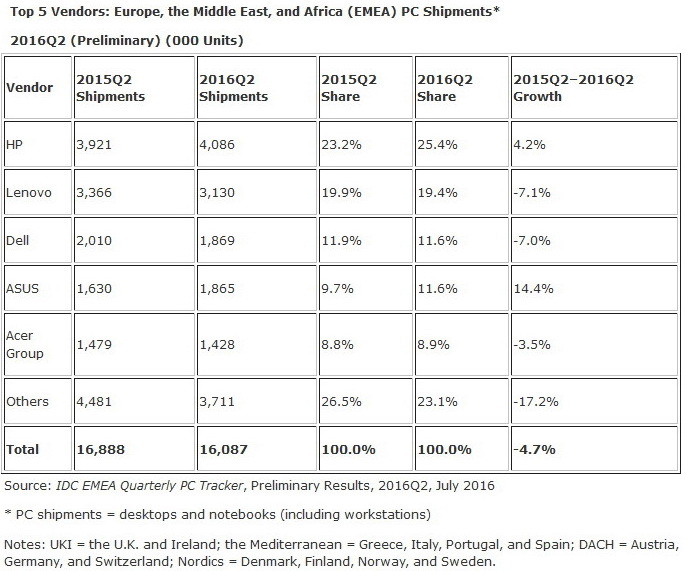 Overall PC shipments to EMEA have shrunk as of Q2 2016 compared to the same period last year. According to the latest IDC EMEA assessment, manufacturers delivered a combined 16.1 million units to the region corresponding to a decrease of 4.7 percent YoY. Shipments to Western Europe have been relatively stable YoY with an estimated decrease of 0.8 percent, but regions in Central and Eastern Europe, the Middle East, and Africa have all faced declines as high as 8.5 percent to 13.3 percent. Surprisingly, shipments of business PCs have increased by 10.5 percent YoY in Western Europe and 3.7 percent YoY in EMEA as a whole. 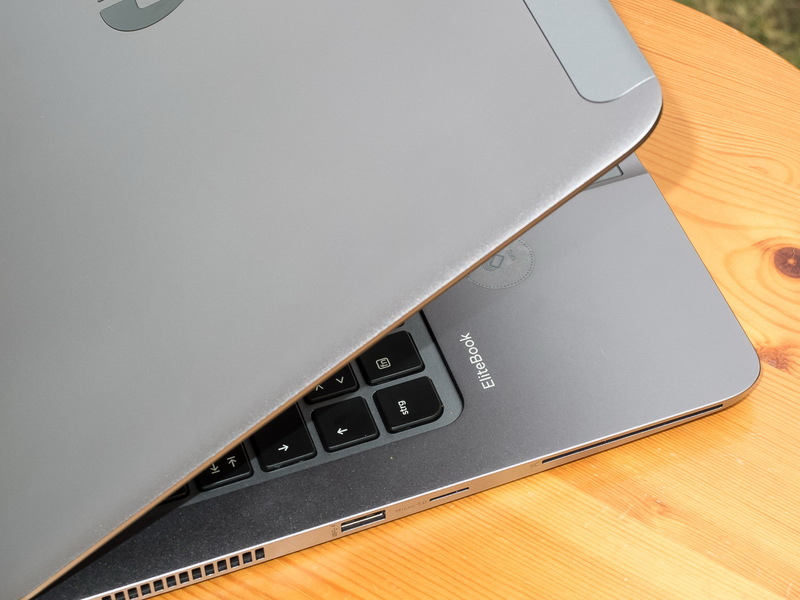 Consequently, consumer notebooks have taken a large hit with a 10 percent sales decline across EMEA. According to IDC, both HP and Asus are the winners as of Q2 2016 with overall higher sales YoY. HP remains the biggest manufacturer controlling 25.4 percent of the market and having grown 4.2 percent YoY. Lenovo and Dell are second and third, respectively, decreasing about 7 percent in shipments each. Asus and Acer are fourth and fifth, respectively, with Asus growing 14.4 percent and Acer dropping 3.5 percent YoY.